But for pharma marketers it’s not as simple as launching a page or running an ad campaign. FDA regulations (EMA in UK & Europe) govern what pharma marketers can do on social media. And a big part of this concerns adverse event reporting. But just how big a problem are adverse events on social media? And should the risk of users posting about adverse events hold you back from the potential opportunities you gain on social media? What risks do pharma brands encounter on social media? 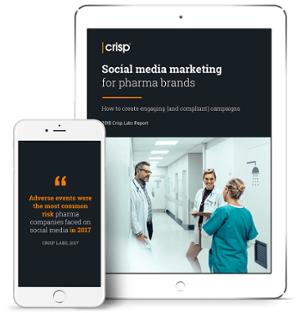 Crisp Labs, our research division, looked at the world’s leading pharmaceutical companies’ social pages to highlight what risks were posed by running social media campaigns. Our analysis looked at 83,375 items of user-generated content (UGC) across 30 different pages during the course of 2017. Overall, one in 13 comments (7.9%) were categorized as ‘posing risk’ to the brand. This compares well with other industries where risky content can be as high as 30%. Delving deeper into the types of risky content, we found that adverse events did represent a significant proportion of the risks, 29%. This poses an interesting dilemma. On the one hand, the percentage risk of an adverse event being posted is comparatively low (equating to one in every 44 posts overall) but, due to volume of content being posted, this equates to thousands of adverse events being posted. That is like trying to find multiple needles in one very large haystack. Adverse events are an unavoidable part of pharma social media activity. That means you could make the choice to avoid social media altogether. However, an alternative approach is simply to ensure you have the right resource and processes in place to deal with adverse events. a clear reporting system so all mentions of adverse events are reported correctly. 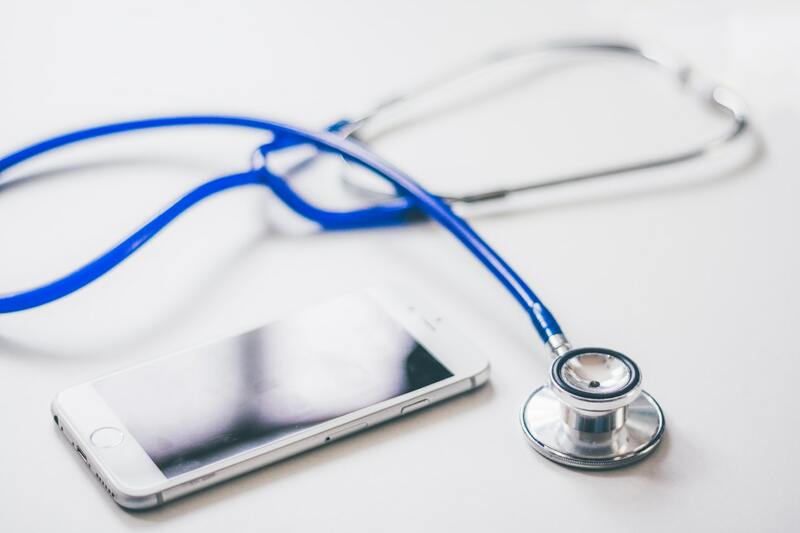 This will open up the way for you to use social media to launch innovative campaigns, like those run by other pharma brands such as AstraZeneca, Allergan and Pfizer, without running the risk of regulatory non-compliance. To find out more about how to make the most of social media, with real world examples from leading pharma brands, click on the image below to download our free ‘Social Media Marketing for Pharma Brands’ report. « Previous post Can values-based marketing backfire?